Now, my mom makes a phenomenal crumb cake. I felt like grabbing the regular crumb cake, but that wasn’t going to be a fair review. So I grabbed the new chocolate variety. I had no reference point and have an affinity for chocolate, so I figured why not. The price was reasonable and I have a Grandma who has no problem sharing any dessert item. 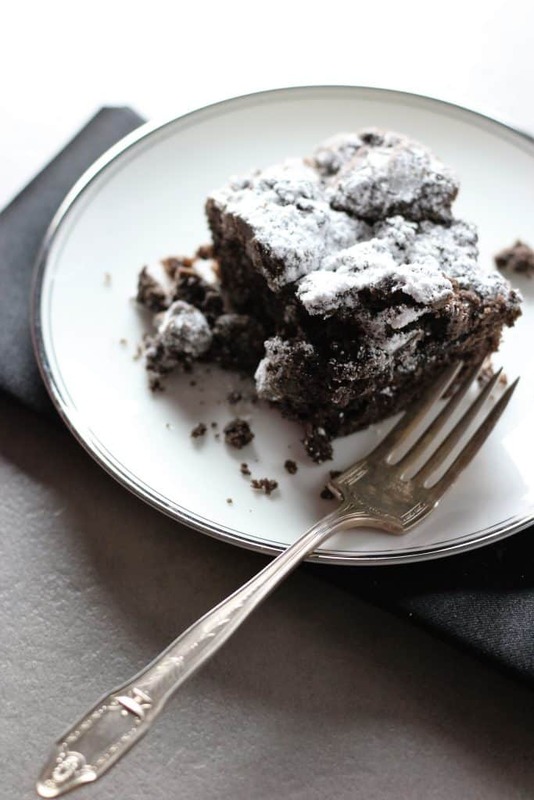 The pros: Stew Leonard’s Chocolate Crumb Cake is a chocolate spin on a classic. The cons: If you enjoy dark chocolate intensity, then this might not be for you. My Mom starts her crumb cake with a basic yellow cake mix topped with a homemade cinnamon brown sugar concoctions which was to die for. I could eat a whole container of just the crumbs. 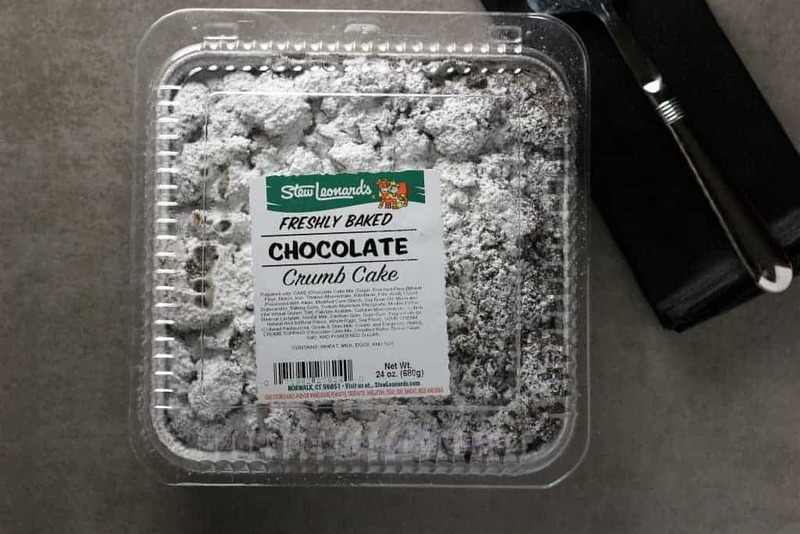 Stew Leonard’s Chocolate Crumb Cake reminds me of that same formula. It’s a cake that is from a chocolate cake mix (not a bad thing by the way). The cake was moist and had enough chocolate flavor. This was by no means a death by chocolate cake. It was a chocolate sour cream cake. The cake itself was moist, but the highlight in any crumb cake will always be the crumbs. 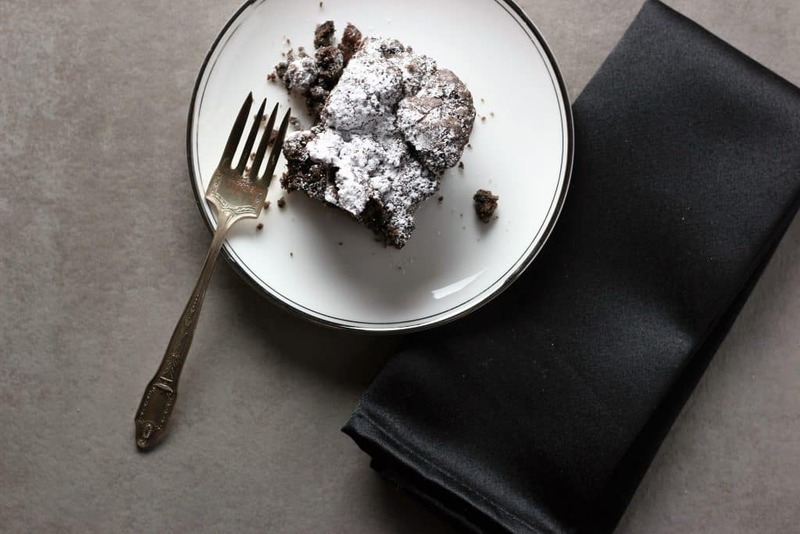 The crumbs share the same flavor as the cake with some brown sugar, butter, and a healthy dose of powdered sugar which gives your palate a reprieve from the chocolate flavor. 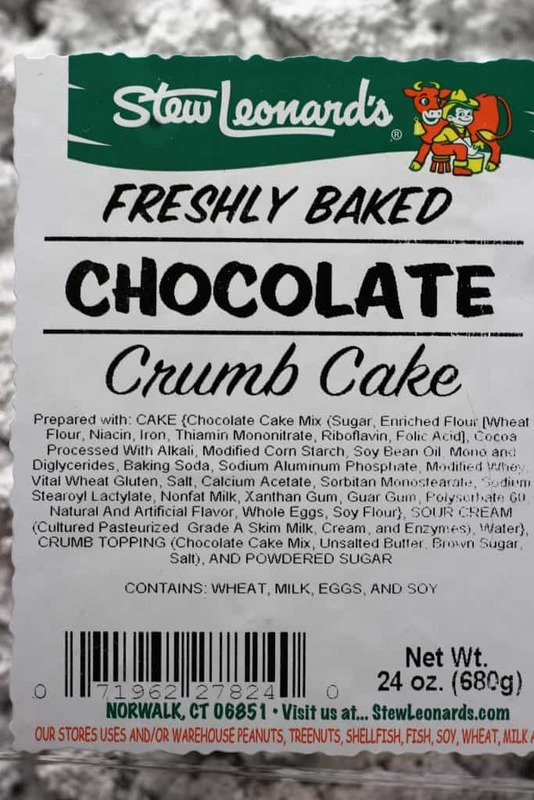 Overall, a really good spin on crumb cake and a well done chocolate cake with really tasty crumbs. There was a good ratio of crumbs to cake, so you won’t feel cheated by not having enough of either. For $5.99 this is a good buy and worth picking up at one of Stew Leonard’s locations as long as you aren’t hoping for a super dark death by chocolate confection. Crumb cake is meant to highlight the crumb topping and it manages to do just that. And yes, I would buy it again, especially if I know that I’m having company. Would I buy this again? Yes. If you like the texture of a crumb cake but would rather have your chocolate cake and eat it too, then yes this is for you.